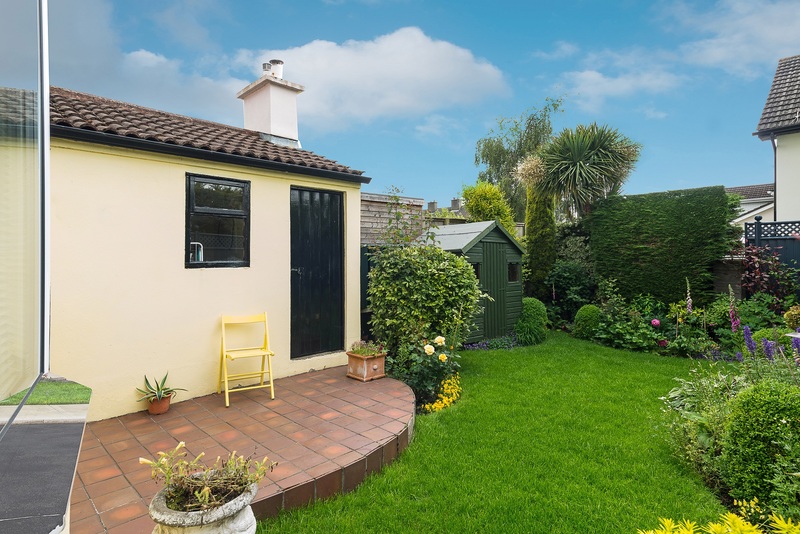 Location: 13 Foxrock Crescent, Kill Lane, Foxrock, Dublin 18, Ireland. 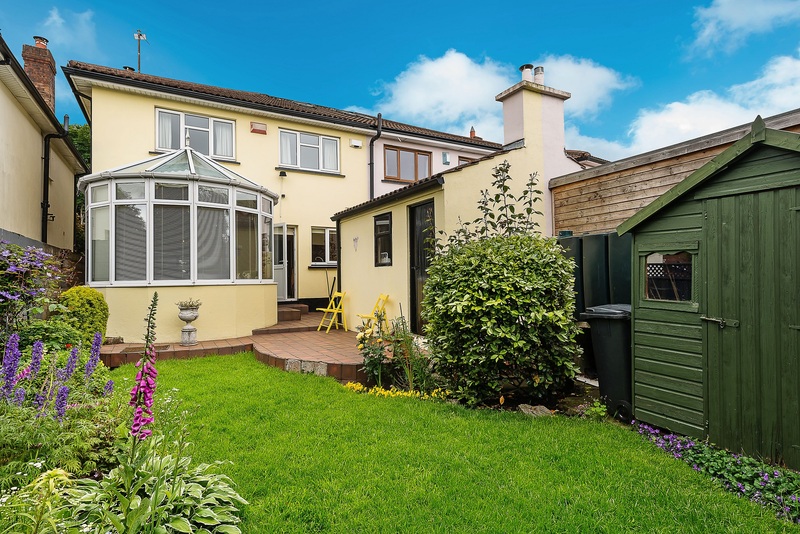 13 Foxrock Crescent, Kill Lane, Foxrock, Dublin 18. 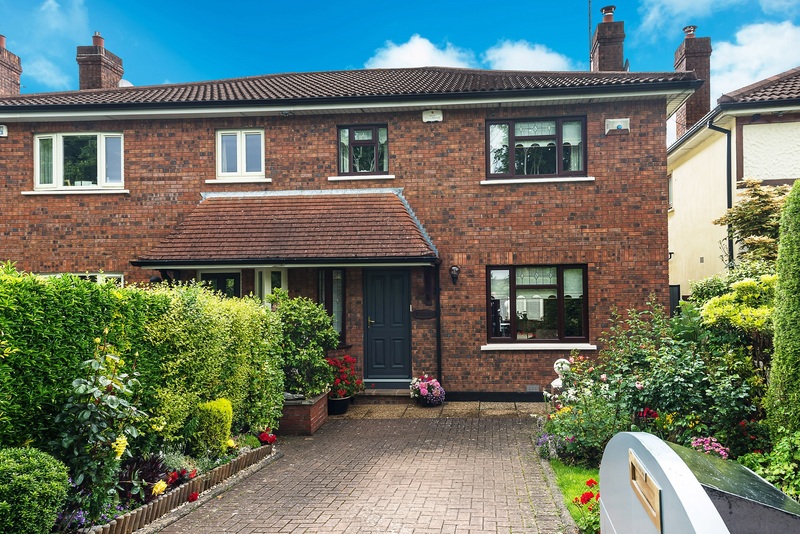 Finnegan Menton is delighted to offer 13 Foxrock Crescent to the market, this 3 bedroom red brick semi-detached home was built in 1988 by Sorohan Builders and is one of only 15 houses on Foxrock Crescent which is a small cul-de-sac just off Kill Lane. 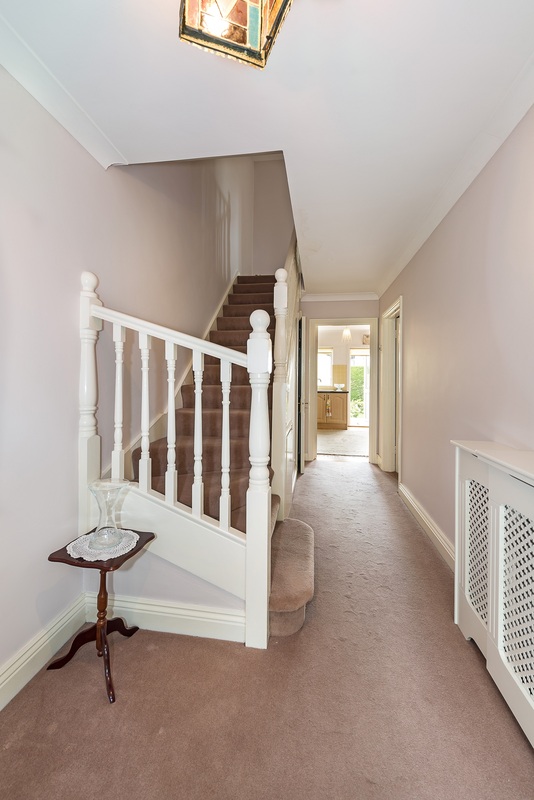 This immaculately maintained family home is in walk-in condition and accommodation includes entrance hall, guest wc, living room, dining room, conservatory, kitchen / breakfast area, 3 bedrooms, bathroom and master bedroom ensuite & hotpress. Outside there is a utility room and oil boiler house. 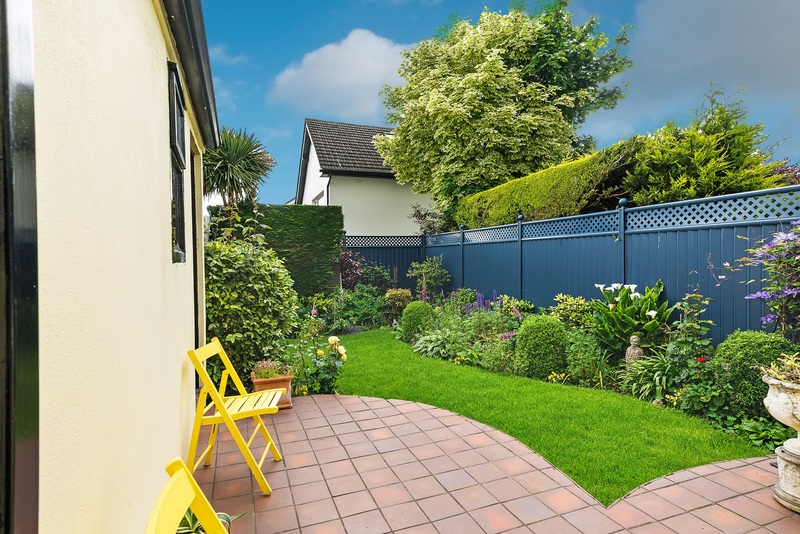 The gardens are impeccably kept and easterly facing to the rear with a large gated driveway and front garden. 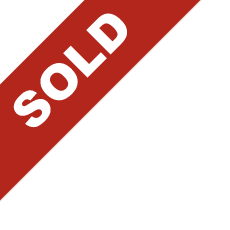 This sale is an executor sale on the kind instructions of Desmond P. Flynn Solicitors. 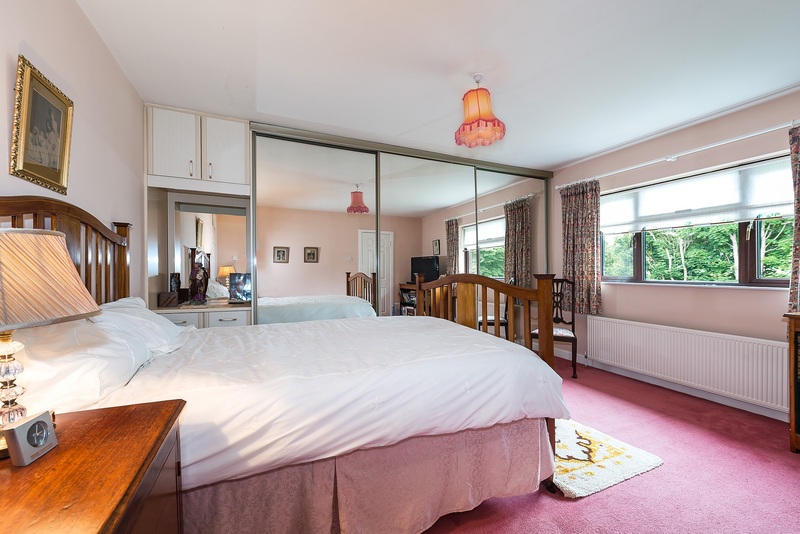 Convenient to Carrickmines and Foxrock Golf clubs, Leopardstown Racecourse, Cabinteely Park, Carrickmines Tennis Club, Westwood Fitness, Cornelscourt & Foxrock Village. 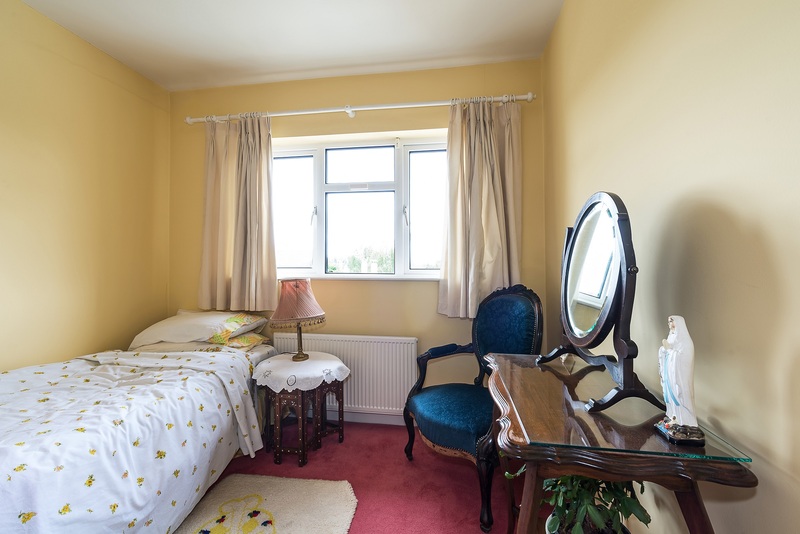 There are excellent transport links within easy reach including the Luas, N11 and M50. Viewing highly recommended. 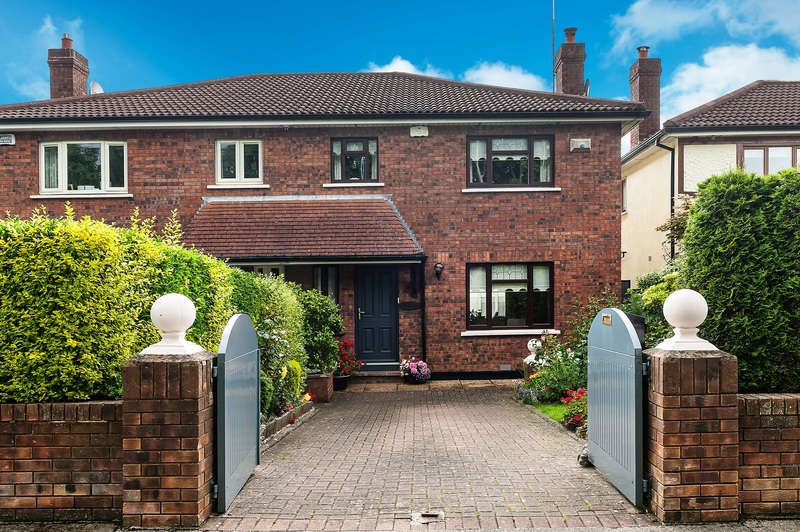 13 Foxrock Crescent is just off Kill Lane beside Foxrock Church of Our Lady of Perpetual Succour which is at the junction of the Stillorgan Road (N11). 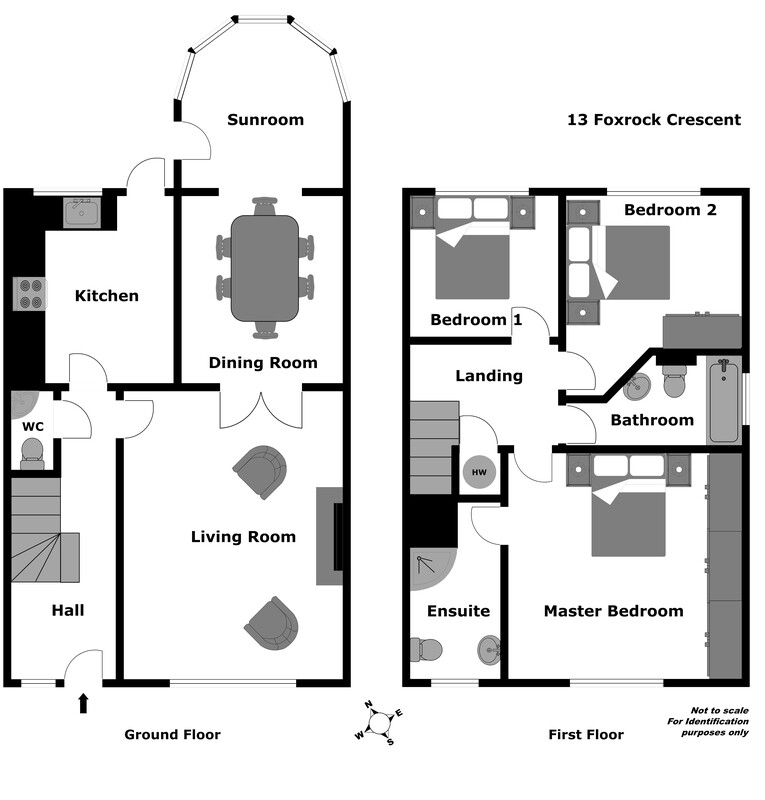 Feature white marble open fireplace, centre rose and coving, carpeted, double doors to dining room, tv point. (Chandelier not included in the sale). 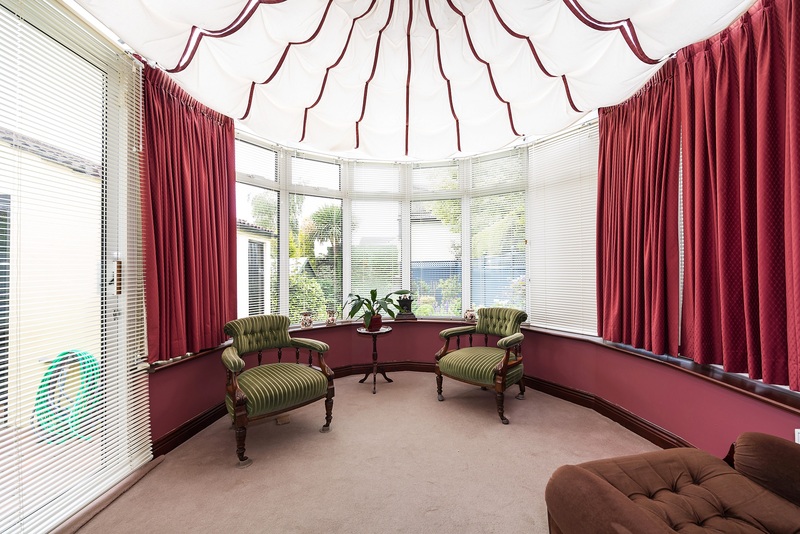 Centre rose and coving, carpeted curved arch to conservatory. (Chandelier not included in the sale). Sliding door to patio area open arch to dining room. 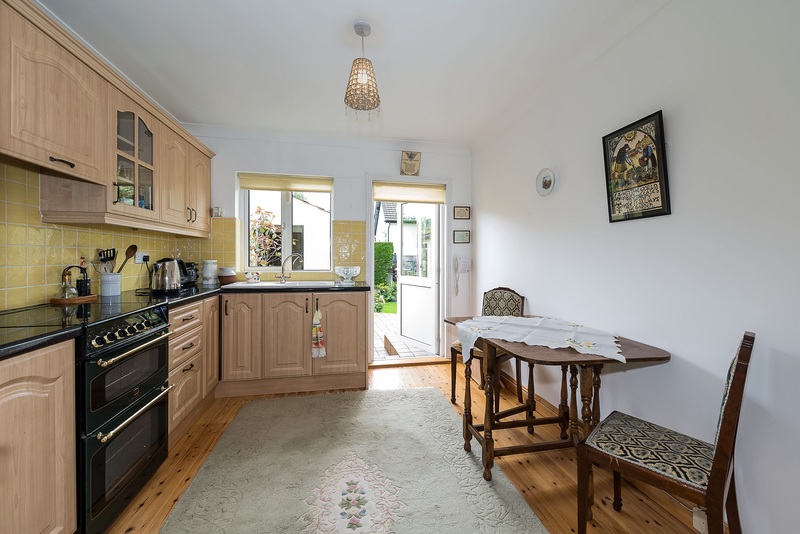 Fully fitted timber kitchen units, including cooker, gas hob (gas cylinder) and fridge, timber floor, splash back wall tiling, coving, telephone point, back door to garden. 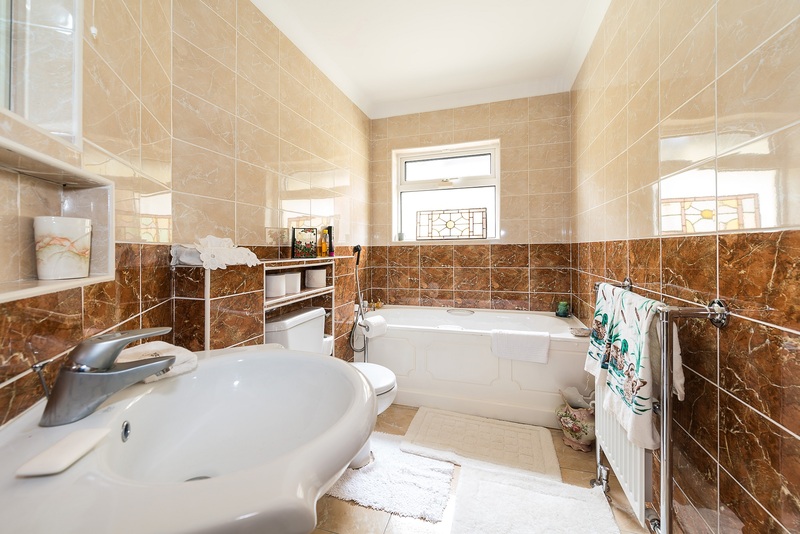 White bathroom suite comprising wc, whb, bath with shower hose, chrome sanitary ware, fully tilled bathroom with shelving and mirror, attic hatch door. Fitted wardrobes, carpeted, telephone point, double bedroom. 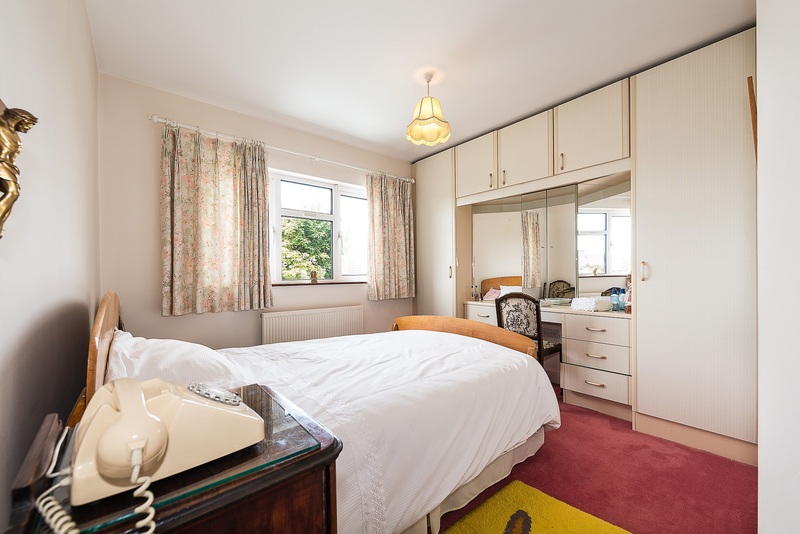 Double bedroom, large 3 door sliderobe, dressing table with over head storage press, carpeted, telephone and tv point. 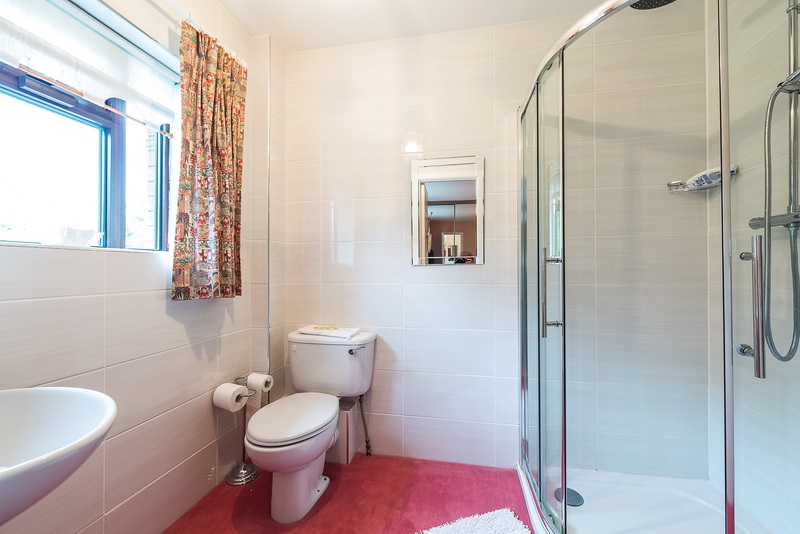 White suite comprising wc, whb, shower with glass door, full wall tiling, storage hotpress. Hotpress: Insulated tank and two shelves. 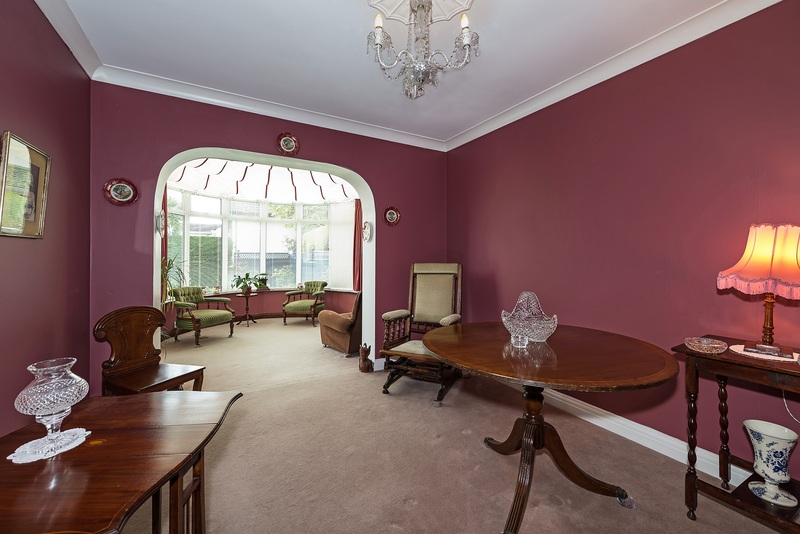 - Immaculately kept family home. - Easterly facing rear garden. - Located on small cul-de-sac. 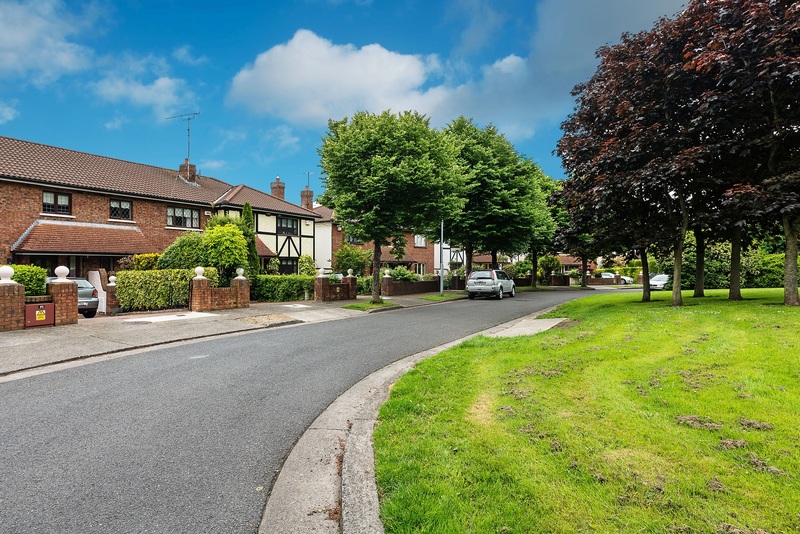 - Only 15 houses in Foxrock Crescent. - Excellent road just off Kill Lane. - Cobblelock driveway for two cars. - Outside utility room and boiler house. 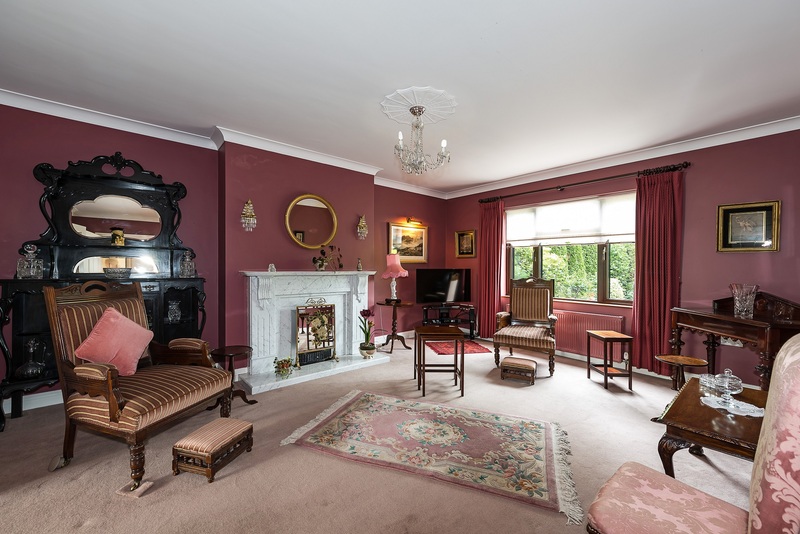 - Close to St. Patricks girls National School, Holly Park and Loreto Foxrock. - On the 46a bus route & Luas at Sandyford Industrial Estate. 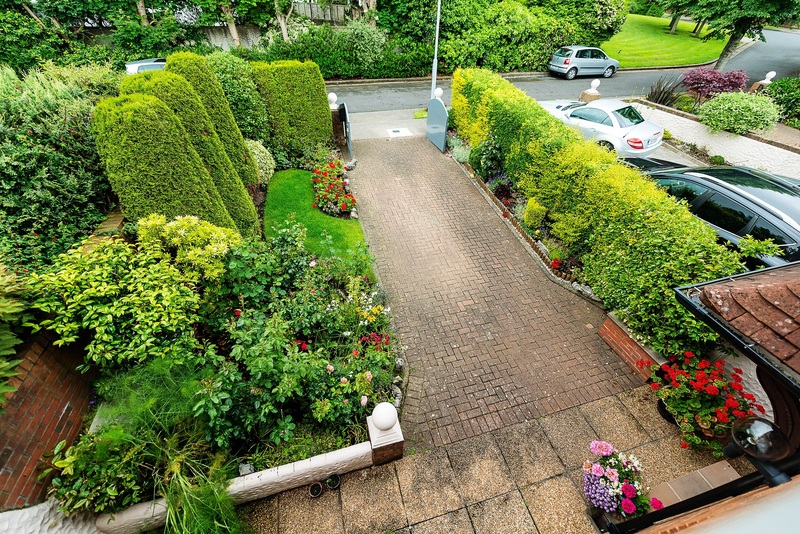 Landscaped nature gardens with herbs, roses and lilies, shrubs & trees, very well maintained, patio area, gated front garden and driveway. Just off Kill Lane at Foxrock Church of Our Lady of Perpetual Succour at the junction of the Stillorgan Road (N11).